Featured at the Shoji Tabuchi Theatre on Shepherd of the Hills Expressway, The Magnificent Seven offers an exciting live show that’s ideal for the whole family. Guests can enjoy a cast of talented singers and dancers, more than 200 elaborate costumes and 75+ musical productions from genres like swing, rock n’ roll, country, pop, gospel, patriotic, film and Broadway, and more. 7 non-stop decades of your favorite hits. Theater located near intersection of Hwy. 76 & Shepherd of the Hills Expressway. Experience a journey through 7 decades of YOUR favorite music with the "Magnificent 7 Variety Show." One of the most energizing experiences you will ever witness. 7 first-class entertainers and 200 costume changes coordinate with 75 production numbers from the 1940's through the 2000's. Non-stop musical action, dancing, comedy and so much more! 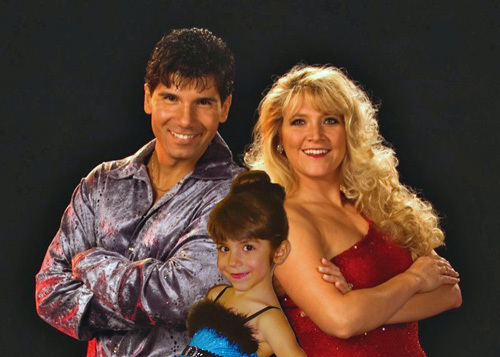 The team of 7 singers and dancers are led by Joe and Tamra Tinoco along with their 12 year old daughter Talya, who make sure that the Magnificent 7 Variety Show is unbelievable entertainment. Age doesn’t matter – this is a Spectacular Branson show that the entire family can enjoy! After 10 Award Winning seasons of the Magnificent 7 Variety Show in Branson, this performance just keeps getting Bigger, Faster and Better Than Ever! There is nothing like having your favorite hits from yesteryear performed by a vivacious group of talented entertainers. The numbers also have wonderful costumes to fit every theme. You are left wondering how the performers have time to change, especially since there are so many different costumes. You can also expect some great choreography, making each song number an entire Experience to enjoy. The Tinocos have toured throughout the United States and made many guest appearances on TV as well as The Grand ol' Opry. 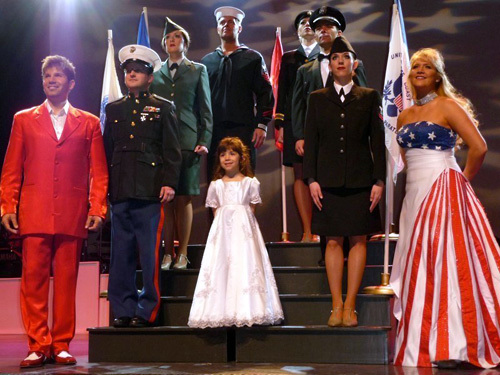 Their daughter, 9 year old Talya Tinoco, is Branson's 2013 Young Entertainer of the Year their experience shines through during the entire course of the Magnificent 7 Variety Show. Most importantly, the Tinocos know what their audience wants and how to give it to them. 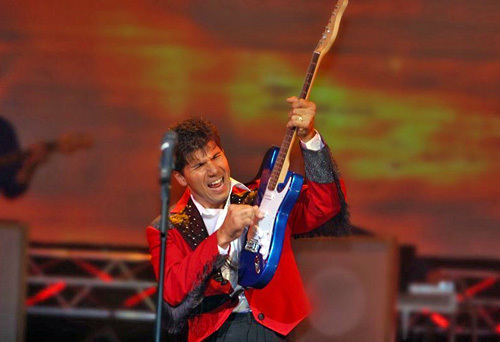 You will love how they go from humor to drama or even get right into the audience by serenading a grandmother with a 50s hit song. The Magnificent 7 Variety Show has been called “Branson’s Ultimate Music Experience.” This is a great way of describing a show that gives something for everyone and is fueled with energy from the intro right up to the grand finale. If you want fun for the whole family, then the Magnificent 7 Variety Show is a great choice for you while in Branson, Missouri. What is the size of Hamners’ Variety Theater, home of the Magnificent 7 Show?